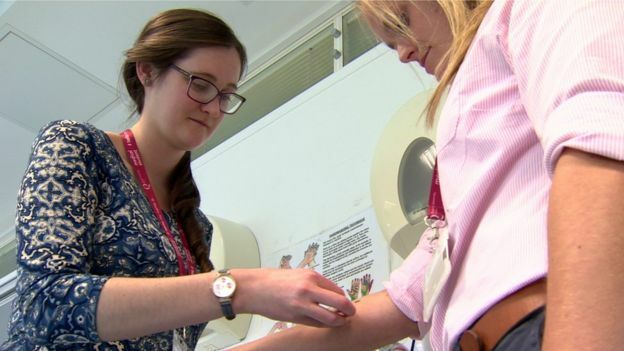 Medical students have been asked to wear temporary tattoos designed to look like skin cancer to give them an insight into living with melanoma. 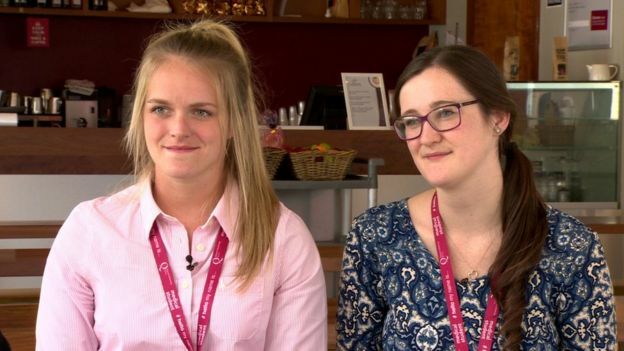 The study by Queen’s University, Belfast, involves students wearing the temporary transfers for 24 hours after hearing a real story from a patient. “We want to train our students to be competent but also compassionate with patients,” said Dr Gerry Gormley, QUB. The clinical academic said the effect on some students had been “profound”. Skin cancer is the fifth most common cancer in the UK, claiming more than 2,000 lives every year. In Northern Ireland, an average of 332 people were diagnosed with malignant melanoma cancer annually between 2010 and 2014. 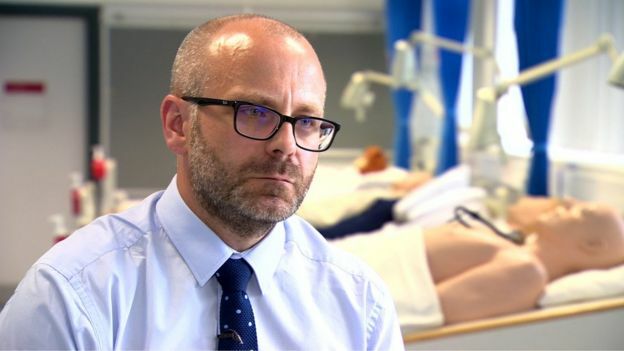 Dr Gormley acknowledged that while the simulation cannot truly replicate what it is like to receive a skin cancer diagnosis, it did influence how some students thought about the illness. “At times it did feel quite real to them. Dr Michael Corr co-authored the study which is being published in the British Journal of Dermatology. He said that while empathy could not be taught to medical students, experience was a great educator. “People don’t just want their doctors to have great medical knowledge and excellent clinical skills. 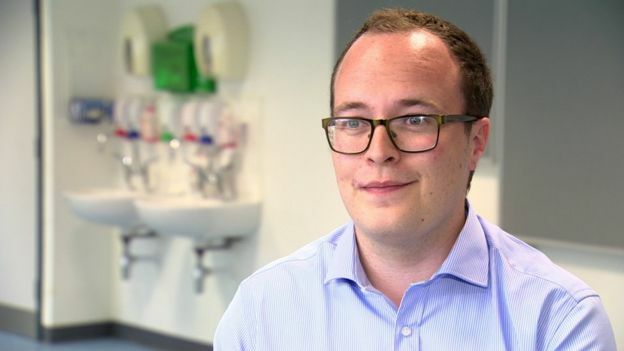 “They want compassionate doctors who are good communicators and while I don’t think you can lecture someone on how to be empathetic, what we can do as doctors is reflect on our own experience and how we would like to be treated or our family to be treated. The medical students who took part said they were often surprised by their reactions. Rachael Henderson is in the fourth year of her medical degree and said the experience would have a impact on how she deals with patients once she is qualified. “I think it really made me think about treating the person as a whole rather than just treating a lesion on their arm. “We talk about treating the patient rather than the condition and that’s something I’ve learned from this – treating them holistically. Fellow medical student Kate Corney also gained unexpected insight courtesy of the small transfer tattoo. “The psychological impact of the 1 cm tattoo is unexpected. I was surprised how much I wanted to cover it up – when I was going to the shops I would put a cardigan on because I didn’t want anybody to notice it,” she said. Dr Gormley said the findings of the research mean they now hope to expand their study. This aim is echoed by Dr Corr who said the simplicity of the idea is key.